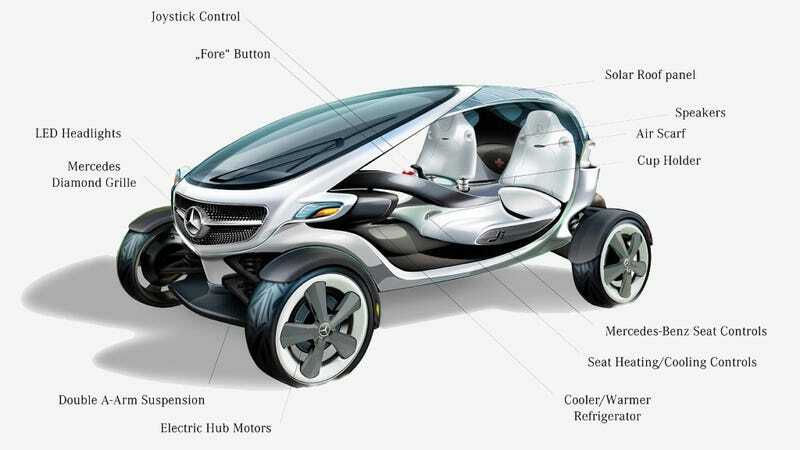 Mercedes-Benz designed a golf cart concept. Mercedes-Benz designed a golf cart concept. It looks like they've finally accepted that their stereotypical customer is a thousand years old.